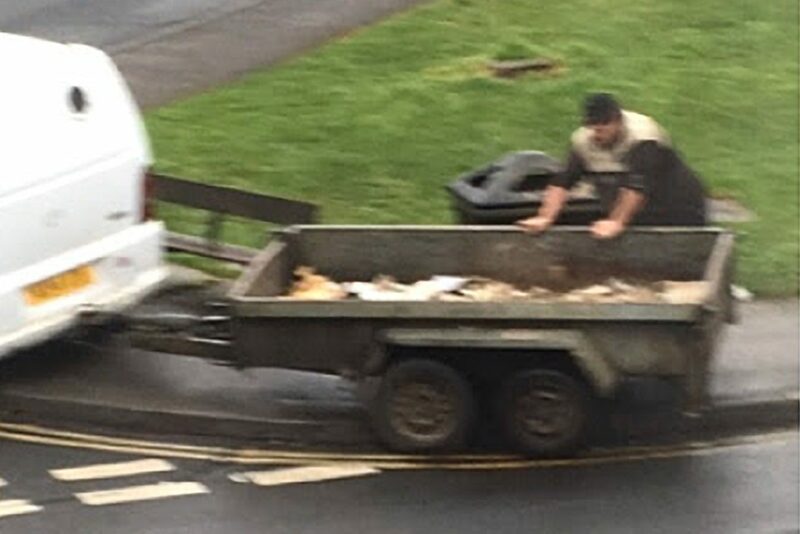 William Eric Pipes (39) of Danebury Drive, York thought he could get away with dumping builders’ waste on a private drive and near a children’s playground. Pipes faced 19 charges of fly-tipping and unlicensed waste collection at York Crown Court in December 2017. Pipes had been employed by a plumbing firm to get rid of waste from fitting new bathrooms. The plumbers had been under the impression that Pipes was a licensed operator and had paid him in cash. But debris from the bathrooms turned up around Thoresby Road in York during February and March of 2017. Dumped items included broken baths, toilets, sinks and tiles. In March and April, Pipes was photographed dumping more rubbish from his van at Beech Grove in Acomb on the outskirts of York. City of York Council enforcement officials tracked the waste back to the plumbing company and then to Pipes. He was unable to produce the requisite licences for waste disposal. Pipes was then charged and had to appear at York Crown Court because his offences were too serious for the Magistrates’ Court. The Judge then handed down a nine-month jail sentence and ordered the confiscation of Pipes’ van.